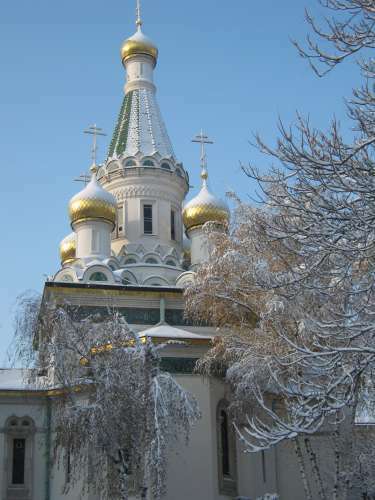 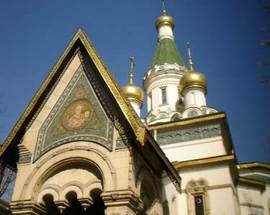 This small decorative church with its golden onion domes was built between 1912 and 1914, (by many of the same workers from the nearby Nevski Cathedral) to appease a Russian diplomat afraid to worship in Bulgarian churches. 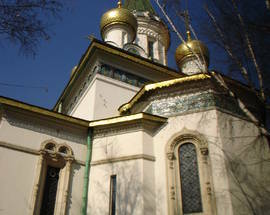 The church is named after St. Nikolai ‘the miracle maker’. 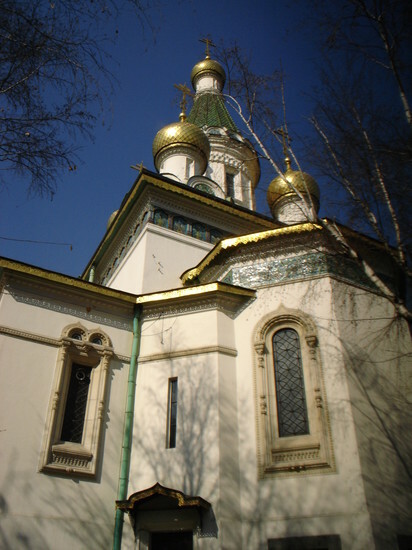 To this day wishes are written on slips of paper and placed in the wooden box by the white marble sarcophagus of Bishop Serafim (1881 – 1950), who is buried in the crypt. 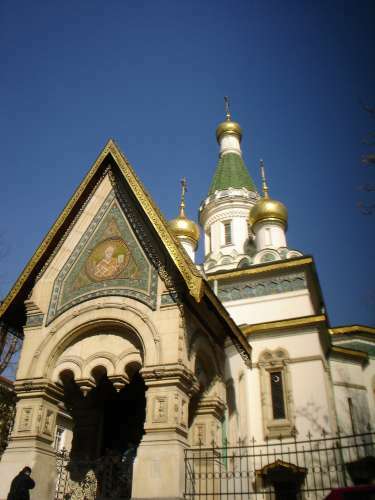 Although never canonized, he is revered by many Bulgarians as a saint. 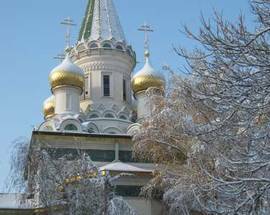 Services are carried out according to the Julian calendar, so Christmas is celebrated on January 7th.